It’s #ThrowbackThursday , and I decided to throw it back to this post I wrote for a magazine last year where I debunked the myths about the depression and also shared tips on tackling it, Depression or Mental Illness is not something we are all not familiar with, its something a lot of people don’t talk about because of fear of being laughed at or not taken seriously. It’s something I’ve also suffered from and dear to my heart and also felt the need to share because I believe someone out there needs it. Here’s the unedited version. P.S. You don’t need to be suffering from depression to read this. Been trying to write this post for a while now, but it’s quite hard putting thoughts into words, but here is something. I know from the title of this post, you’d be wondering what’s all this? Who talks about such these days? and all. But the fact that people don’t talk about it is the much reason we need to do so. 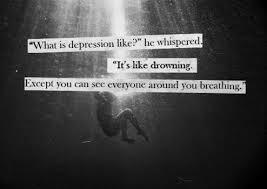 Many people (mostly Africans) have very vague knowledge or say about Depression, they feel it’s not true and all. Depression is a state of mind producing serious, long-term lowering of enjoyment of life or inability to visualize a happy future. It’s a period of unhappiness or low morale which lasts longer than several weeks and may include ideation of self-inflicted injury or suicide. – People don’t like to talk about it, they feel the more you talk about it, the worse it becomes. – It’s a poor man’s problem: They say rich kids/man don’t get depressed, but I say no to that, most rich people do get depressed. – Some also say it’s a rich man/kid’s problem: They say when you have enough money that you start bringing up names of problems like depression. – Africans don’t get depressed: Have heard people say that our songs most especially Nigerian songs which are livelier don’t get people depressed, but what happens when the music is off? Or there’s none at all?? You sink back into the mood. – Talking about it goes a long way in solving it. – Africans and everyone do get depressed. – Depression is not a sign of weakness. It means you have been strong for far too long. Depression comes from lack of adequacy/inadequacy, broken heart, rejection, abuse, when things don’t seem to be going your way/working out, environment and so much more, it also comes in different ways; sometimes I feel I’m too happy for my own good, so I sometimes let depression come in, to feel a little bit of sadness. The deeper you sink into it, the deeper it becomes. Depression is a prison where you are both the suffering prisoner and the cruel jailer. – Dorothy Rowe. I. 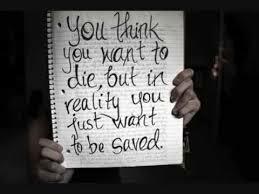 ADMIT IT: Knowing that it’s a problem and believing in recovery is the first step of tackling it, some people see it as norm and a way of life, but no, it isn’t, you’re supposed to be happy and free and not tied down to something or someone, words or feelings. You are supposed to express yourself the way you want to and not how people expect you to. II. KNOW THE SOURCE: Knowing the source helps, it could come from being rejected, what someone said/did, your past, abuse or someone you need to forgive and let go of to be free. When you know the source, you will be able to know how to go about it. III. PRAY ABOUT IT: Prayer is a communication between man and God. It’s talking and taking your problems to God like He is human. Pray to God about it, tell Him to show you the way out of it. When it Comes, Pray about it. IV. TAKE YOUR MIND OFF IT: Go out, try new places or go on an adventure and explore, Listen to Clean Music, Do something New. Stay Productive, depression comes when you have little or nothing doing, but when you productive, it tends to go, the thought doesn’t creep in. Avoid people and things that bring up depression, the kind of music you listen to also helps; some bring up memories that sink you into depression. V. SEEK PROFESSIONAL HELP: You could go to a Psychiatrist/Shrink, if you feel the need to talk to someone that might understand and be able to help you. VI. KNOW YOUR WORTH: Knowing who you are and your Purpose helps in tackling depression, helps to silence those voices in your head. Taking a step towards Happiness goes a long way than Procrastinating and Giving-up. So if you know someone that’s depressed, give them a smile, try to help them with these little tips, pray for and with them, take them out to explore/ make them try something new. The journey might not be easy but trust me, these steps are worth trying. Next week, I will be talking about knowing your Self-worth, as it’s one of the ways of tackling depression (be sure to subscribe, so you can get the first dibs!). I hope this post has been helpful and inspiring. If you would like to talk, you can send me an email – aevetonnia@gmail.com. Due to recent developments (project, school activities and all), I will be posting once a week (usually Mondays or Tuesdays) and also try to have bonus posts like this, do bear with me and thanks for sticking around ? ?